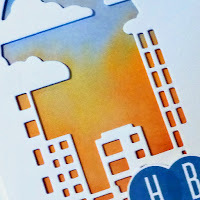 I have 3 cards to post today, and the first one uses a water colored background behind the Poppystamps Urban Skyline Collage die. 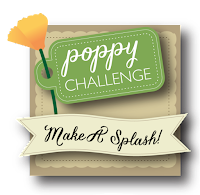 I am entering this card at Poppystamps #47: Make a Splash and Seize the Birthday: Water! 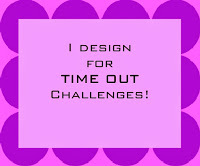 My next card is for the challenge at PTI Make it Monday #332: Petite Pattern Play. I used stamps from Kit N Caboodle. 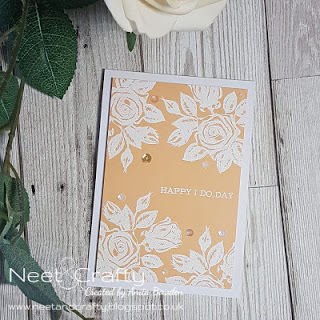 Last up is a card for this week's Muse #278 Challenge, where we have this beautiful card from Anita for our inspiration. 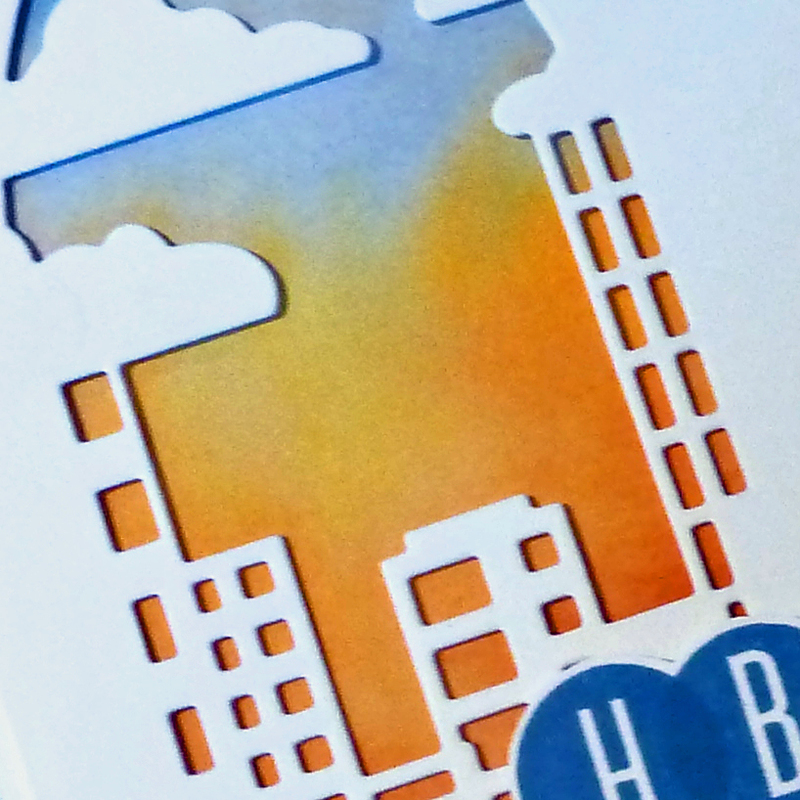 I was inspired by the white embossing and the paled colored card front. I used a soft stone card front and white embossed Harvest Berry stamps. So beautiful Joyce...love your gorgeous water colors! Your sky is simply stunning! Your sweet kitty card is just too darn cute too! so much fun. Two beautiful cards and one really fun, cute card. OO my goodness, the colors for your skyline sky are gorgeous! 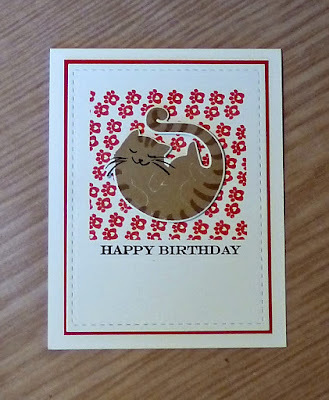 Love the happy little cat and your sympathy card is beautifully elegant! Joyce your sky on the first card is amazing! A beautiful sunset! Since I have 3 cats, your second card gave me a chuckle. All those cute paw prints! And no. 3 looks like a definite winner. Gorgeous harvest berries in white against the soft grey. 3 great cards, Joyce! Your urban skyline is beautiful and your kitty is cute as can be! LOVE your take on Anita's card, too...your embossed harvest berries look amazing with the soft stone background...A lovely trio of cards, Joyce! You really caught the sunset colors perfectly for your cityscape, Joyce! 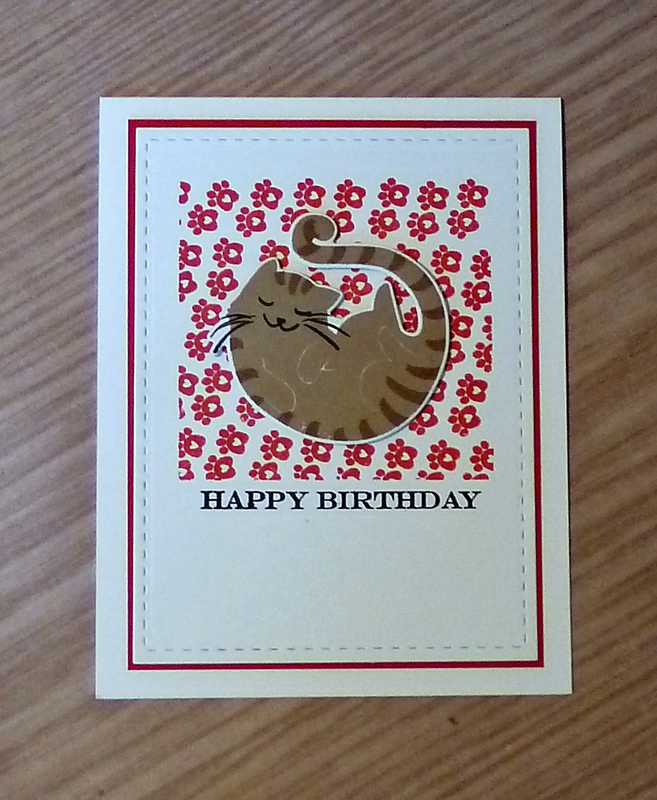 The kitten card is darling and the soft tones of the sympathy card soothing! Another great variety post! Wow Joyce these cards are all just fantastic! I love the background on the first card in yellow and blue and you are making want to play MIM this week. Love your elegant take on Muse as well. Three stunning cards here Joyce! 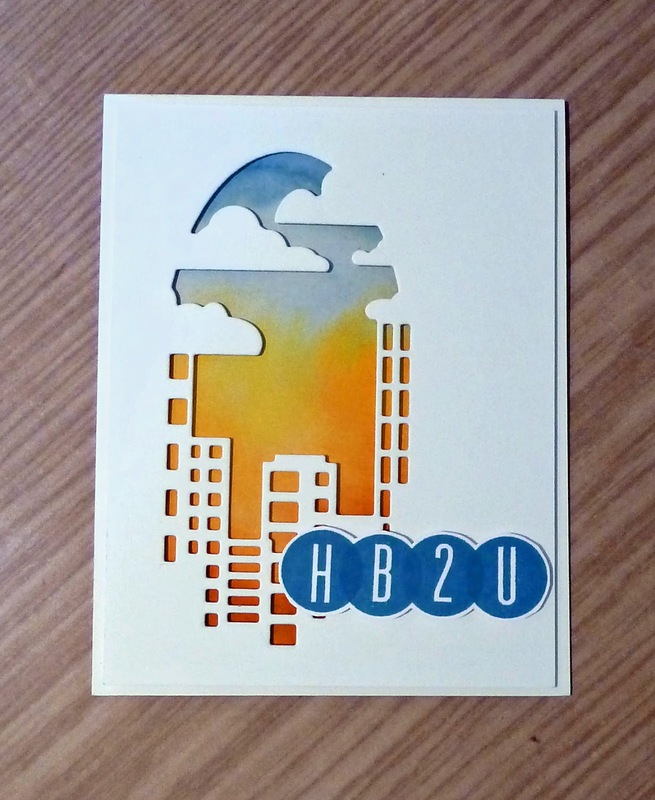 Your water colored background is fabulous with that skyline die. Wow!!! Your little kitty card is super adorable too. Paw prints..... the purrr-fect choice. ;0) I Can't forget that stunning sympathy card. Simple, serene and so pretty. Beautiful cards Joyce, I love your take on Anita’s card! Joyce to come to watch your creations is a treat and the take on Anita's card is brilliant. I have recently fallen in love with Greys.. this is a beauty! Joyce, It's always such a pleasure having your work in our gallery at STB! Such lovely cards! 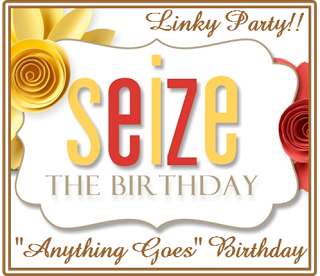 So happy you joined us at Seize the Birthday!! Joyce! That SKY! I get a vintage/art deco feel from that card - it's amazing! 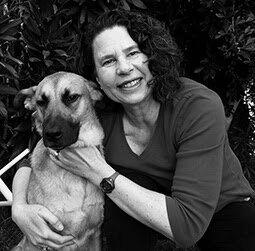 And I love the serenity of your Muse submission! Thanks for joining us! As always a beautiful collection of cards Joyce, that cat card is very cute as well. 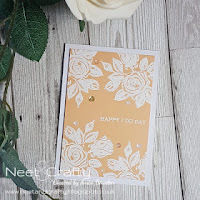 Looove the Muse card that white embossed flower is one I have coveted for such a long time. It looks amazing. Three fabulous cards, Joyce! 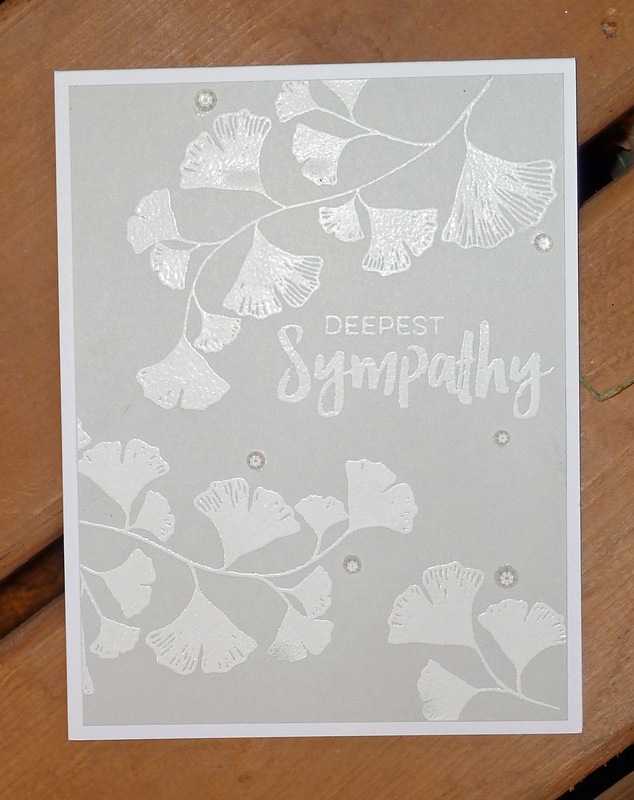 LOVE the simplicity of the Sympathy card~so comforting. 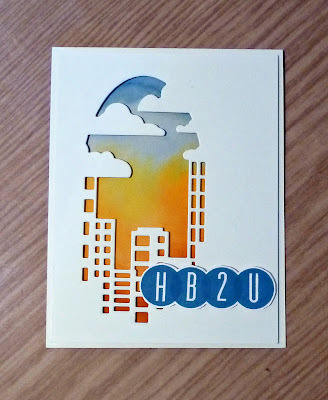 The Urban skyline is very cool and the Birthday kitty is just too darn adorable! Joyce, this card is really cute! I love the sunny background against that city skyline! it looks great! Thats so much for playing along with us over at Poppystamps! Lots of beautiful cards Joyce ! I think my favorite is the city scape! I love the clean design and the sentiment "dots" .. great graphic design! I had to pin this!